John Burroughs stands next to a gnarled tree. Caption on reverse reads "an old apple tree that the birds frequented on land adjacent to that owned by Burroughs." 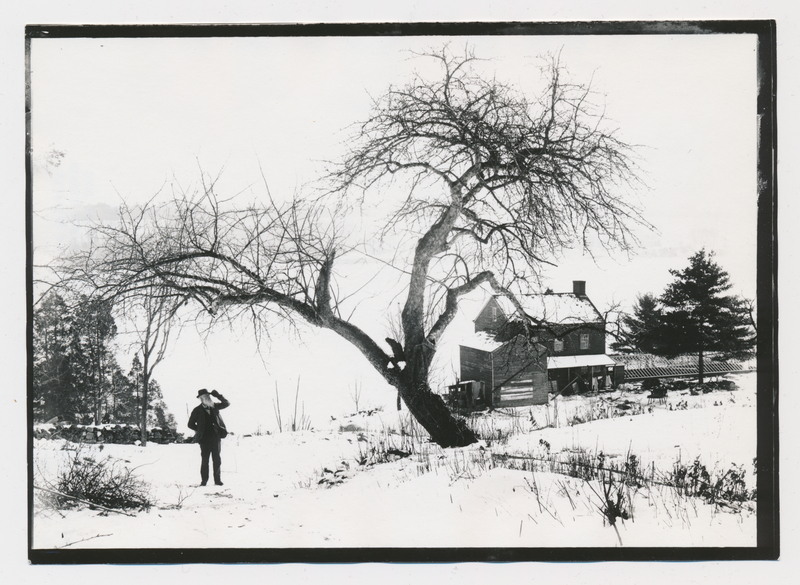 Johnson, Clifton, 1865-1940, “An old apple tree,” Digital Amherst, accessed April 23, 2019, http://digitalamherst.org/items/show/1854.